ETA | UK Electrical Distributors – E. Preston (Electrical) Ltd. Circuit breakers for equipment (CBE’s). Product types include thermal, thermal-magnetic, hydraulic-magnetic, magnetic and high performance, flow meters, level sensors and velocity sensors. ETA is a market leader in the design and production of circuit breakers for equipment protection. With over 60 years of history, the company employs around 1,200 people around the globe selling products in 60 countries, including the UK. ETA components can be found in a huge range of products, applications and industries — such as aerospace, automotive manufacturing, chemical, oil & gas, medical equipment, telecoms and transportation. 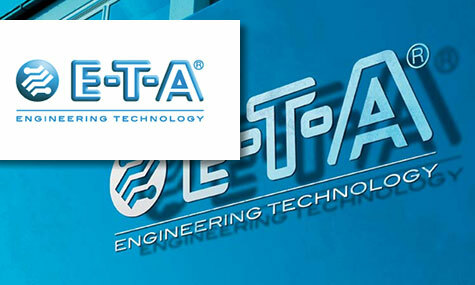 E. Preston Electrical Ltd is an official distributor for ETA electrical products. Visit the online store to browse thousands of components.